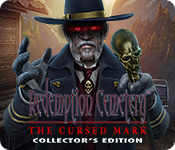 Redemption Cemetery: The Cursed Mark Collector's Edition is rated 3.0 out of 5 by 31. Rated 5 out of 5 by 1955raven from THIS CEMETERY HIT THE MARK!!! I GIVE IT A HIGH MARK!, A VERY GOOD STORY LINE! LOTS OF FUN PUZZLES, HOGS WERE GREAT! THIS IS ONE OF THE BEST REDEMPTION CEMETERY YET!!! Rated 5 out of 5 by sbechirian from I simply love the game! I really like this game, I loved the complete series from the start. I never get bored! The collector worth to spend a little more. You find money all over the places and collect figurine cards that can even be update. Oh what a joy!!! Same excellent music and graphics as the previous ones. Rated 5 out of 5 by GoneFishin86 from If It Aint Broke Dont Fix It!!!! The negative reviews I keep reading are because of the Redemption Cemetery formula but I happen to like this formula. Three ghosts to help redeem and one big bad guy. I personally love the three ghosts and their various stories of hardships they need to overcome. In my opinion the way the Redemption Cemetery series plays out does not need to be altered because it stays the course as the games we know and love and not every game needs to smack of originality they just need to be enjoyable. The way it is done is a security blanket comfortable warm and satisfying. Rated 5 out of 5 by LynneHS56 from A weekend treat Love all ERS/Amax games but this one is fab - like going back to the old ERS days. 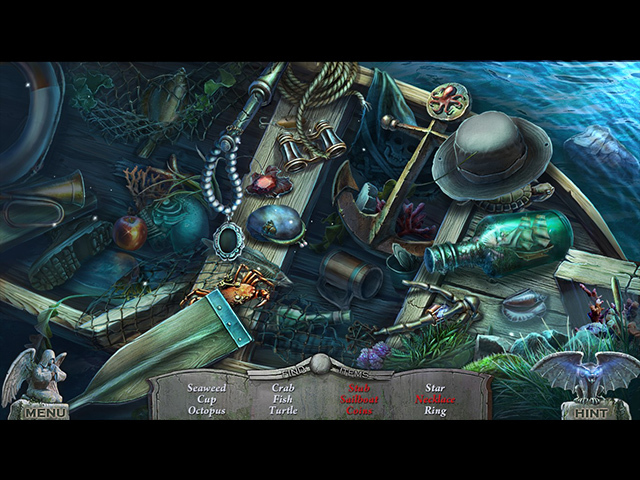 Only played the demo but it runs well, looks great, excellent puzzles & I know it is of old but I like the three soul storyline. Rated 4 out of 5 by kerith90angel from The 3rd storyline was my favorite in this game... in beautiful snowy mountains BASED ON COMPLETED GAME & BONUS PLAY I bought the CE version in a 241 sale. What pushed me over into buying the CE version is this game has 8 great screensavers which I really liked (not just wallpapers). My actual final rating for this game would be: 3.8 of 5* The SE portion of the game took me 2hrs 56min The bonus play took me 1hr 06min Total gameplay took me: 4hrs 06min You save 4 souls in this game, and I still love that premise. There are 3 in the SE portion and 1 in the bonus chapter. I noticed there are a lot of low reviews for this game because not much has changed since every other game in this series. I agree with a lot of those statements. This was definitely not the best RC in the series but I still enjoyed it to the end. I liked RC#1 Curse of the Raven, RC#2 Children's Plight & RC #3 Grave Testimony most in this series. If you liked the demo to this, try those too. The earlier RC games had a diary that held the different storylines and that was missed. The biggest downside for me was the replication of a harp sound every time you pick something up. That seems to be an irritant for me in all ERS/ Amax games as well as the background noises. I also wish there was a way to tweak the “rain effects” over a scene, in the options menu, because it makes it hard to see the scene clearly. Thankfully it only rained in a couple of scenes in this game. I've noticed after years of playing these games that an annoying repetitive sound (that can't be changed), is enough for me to stop playing a game series altogether in some cases. I happen to love games with portals because I like when the time of day changes from the "basic color theme" throughout which I find is monotonous for game play in many games. This game does have the different colors, day changes and multiple storylines which I crave in a game. The demo is not the best part of this game. I thought the base storyline was very weak in this game. I wish this developer would try something new such as current day characters and time periods as they did in their game Penumbra Hotel. I’ve noticed a lot of other players mentioning they are tiring of the same ol’ 1800’s garb we see in these characters. Sometimes I wonder if DEV put the game during those time periods because notes and articles take way less time to create so they can get a game out faster. But I for one notice the finer details in a game such as great cut scenes, reactive items that move when clicked on and detailed articles/notes that are kept in a journal. I will buy the CE to one because of those details that make gameplay feel more fleshed out. I especially like a well thought out storyline. BONUS PLAY Alex (the guy from the first scene of SE demo) asks you to locate his son (there is some possession & black smoke). You continue collecting coins (8 more) and there are 4 more cards. Where you play in bonus: There are 10 scenes of game play. 4 are OLD AREAS that we see in the SE and 6 areas of play are NEW scenes. I counted 13 MG, 4 HOS, and 12 super easy “other games” (that didn’t have a skip button). 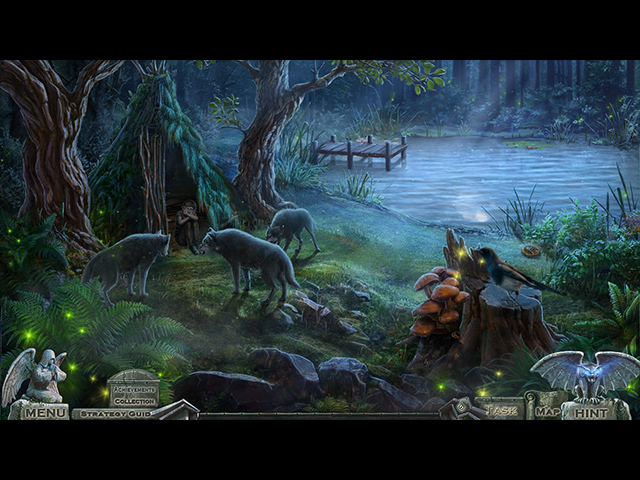 Some areas of bonus were better than the main game, such as a pretty area with a pond called "Forest". I liked the bonus play and feel if you liked the demo you will probably like the bonus chapter. TO GIVE YOU AN IDEA HOW LONG BONUS PLAY IS.... The walkthrough guide is a total of 43 pages with 3 (long) chapters and 1 bonus chapter. Actual gameplay takes up 40 of the 43 wtg pages. The demo is Chapter 1- which is 8pgs compared to the bonus chapter which is 14pgs. If you like this game, or games with portals and saving people in different chapters, try these here at BFG that I also liked: 1. Reincarnation Series 2. House of 1000 door series (except for the last one) 3. 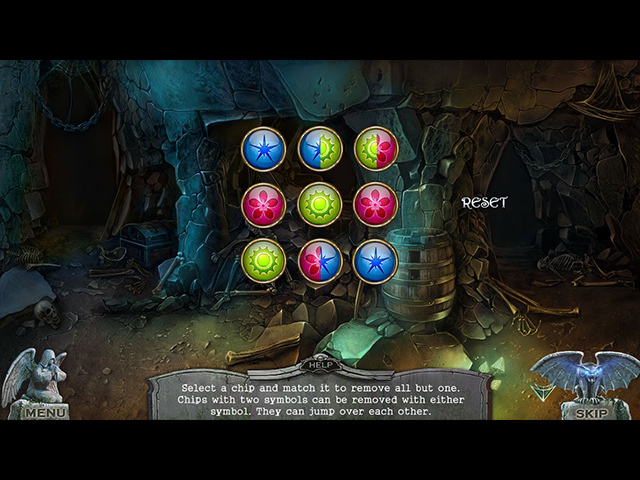 Sable Maze: Nightmare Realm CE 4. Whispered Secrets: Ever burning candle 5. I really liked the first 3 games in the RC series so be sure to try them :)? Rated 4 out of 5 by Cujosmom from A bit disappointing I am a big fan of the Redemption Cemetery line of game, so I was looking forward to another good experience. Unfortunately, I felt this game fell a little short of the RC standard. It was by far the easiest game for me to complete. A little too easy, I think. If you have had problem with the others being too difficult, try this one. Rated 4 out of 5 by sullysdragons from Better than expected Unlike other reviewers, I enjoyed playing this. The puzzles were interesting, while not being hair pulling out difficult. I liked the story line. Being a hero is always nice. The game was a good length and held my interest to the end. Rated 4 out of 5 by Valdy from I like this one I used to buy every Redemption Cemetery game, but haven't done so the last few times, because I didn't much care for them anymore. However, I do like this game as far as the demo went. I like the morphing objects and collectables (with which you can do something), and I did like the first story, and am looking forward to continue with the next two stories. Well done, AMAX.